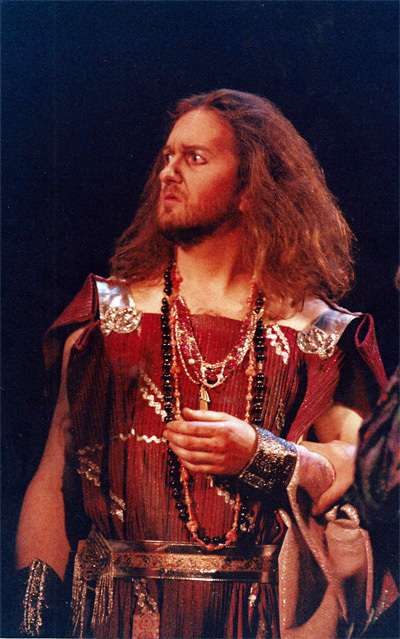 David began his professional career as a singer and has performed with such companies as Greater Buffalo Opera, Syracuse Opera, Artpark Opera, Buffalo Opera Unlimited, Opera Lyra Ottawa, Théâtre lyrique de Gatineau, Opera Breva, Opera Sacra, and others in both Canada and the United States. He counts among his favorite roles Count Almaviva in Rossini’s Il barbiere di Siviglia, and the Mozart roles of Don Ottavio in Don Giovanni, and Tamino in Die Zauberflöte. Conductors he has worked with include Christopher Keene, Gustav Meier, David Efron, Anton Coppola and Mario Bernardi, and Stage Directors include Ken Cazan, Nicholas Muni, Herbert Kellner, and Charles Nelson Reilly among others. He has also appeared often in performances and premiers of “New Music” during his career. On the other side of the stage, David was co-founder of the Greater Buffalo Opera Company, Operations Manager at Syracuse Opera, and has extensive experience in the management end of the performing arts in addition to his performing background, with a number of companies including Hawaii Opera Theatre and El Paso Opera, among others. He is currently Development Director of Nickel City Opera in Buffalo, NY, and General & Artistic Director of Ottawa Pocket Opera in Canada. After spending two seasons with Opera Lyra Ottawa, David decided to take up residence in Eastern Ontario. In 2007 he founded Ottawa Pocket Opera, a moderate-sized tourable company designed to provide opportunities for young singers in the region to gain experience alongside more seasoned professionals, including on occasion international artists. His artistic endeavors include stage direction, beginning in the US, where he returned in 2009 to direct a prominent international cast in Nickel City Opera’s critically acclaimed debut production of The Barber of Seville. Other recent engagements include performing in Menotti's Amahl and the Night Visitors in Bermuda (2011), staging and appearing in Three One-Act Operas & I pagliacci for Ottawa Pocket Opera (March & June 2011), a return engagement to direct Verdi’s Rigoletto for Nickel City Opera (2010), and directing Pergolesi’s La serva padrona for Pellegrini Opera (2009). Aside from the many productions he has directed for Ottawa Pocket Opera, he has enjoyed other local engagements with Théâtre Lyrique de Gatineau, Opera Breva, Pellegrini Opera and The Savoy Society. In addition to his private studio, David is an Associate Performance Instructor in Voice at Carleton University, and he truly enjoys & is committed to working with aspiring young artists. An alumnus of the State University of New York at Buffalo, David holds Bachelor of Fine Arts and Master of Music degrees in Vocal Performance, both with honors. His educational background includes training in all areas pertaining to the lyric stage: vocal performance, dance, acting, directing, stage management, and technical areas. As a student, he also participated in master classes conducted by such luminaries as Gérard Souzay, Elly Ameling, Dalton Baldwin, Margaret Harshaw, and Maureen Forrester, among others. He has been heard often in opera, recital & concert, locally and abroad, and has been broadcast live on CBC Radio in Canada and the WBFO Opus Classics Live series in the U.S.